Taylor Rose grew up in New Hampshire immersed into nature and wildlife by exploring the woods, mountains, and beaches nearby. Her imagination thrived in these surroundings and with an adoration for art at an early age she began to create characters and cartoons inspired by her childhood adventures. 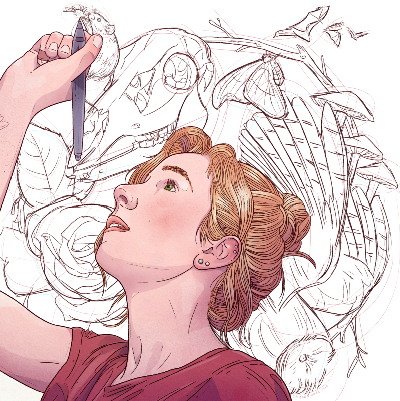 This love and connection to art continued through high school and then college where she received a BFA in illustration from the New Hampshire Institute of Art. Today she resides in Bend, Oregon where she works as a freelance illustrator and designer, constantly rediscovering ways to celebrate nature and storytelling through art. When she’s not making art you can find Taylor traveling by snowboard, bicycle, and stand up paddle board. She loves fly fishing and has a somewhat healthy obsession with cartoons, hobbits, Buffy, and owls.